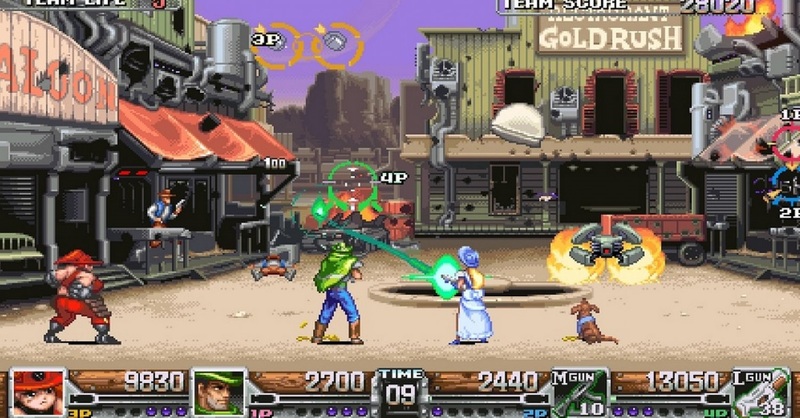 Wild Guns: Reloaded is a remake of a game from back on the Super Nintendo, which is unusual in itself, as most remakes are focused on newer games from PS2 and later. But, I do like that Natsume has gone back farther and brought back this classic “shooting gallery” game from 1994-1996 (depending on where you lived). Reloaded is more than just a remaster though, as it has added new characters, levels, bosses, and special weapons. 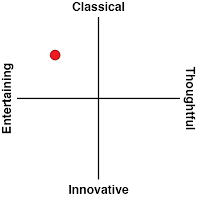 The “shooting gallery” genre does not see many releases these days, but maybe, just mabye, following this remake, we will see more of them. For anyone who doesn't know what a shooting gallery game is; they are really quite simple: players control a character in 2D and move from left to right while shooting bad guys in the background while they shoot and throw things back at the avatar. You are given a time limit to stay alive and once you hit that time limit, you move on to a boss or advance to the next part of the level. Like most shooters from the time, there was no story to the game you just start up, pick single or multiplayer and then pick one of the four characters and away you go. There's some variety between those characters; one, Bullet, is a dog that has a robot drone that does the fighting for him. Unlike the other characters in the game Bullet can move freely while shooting but can not aim; instead, the drone has a small area it will target and kill anything that gets in its cross-hairs. Bullet can also use the drone to pick him up and hover for a short time. Another character, Doris, throws dynamite and not the traditional rapid fire shots. Holding down the fire button charges up her attack making it more powerful. She can also use a jump melee attack to take out enemies under her. Meanwhile, back from the original game is Clint and Annie. Both return with rapid fire shots and really play much the same. Each of the characters also have bombs they can use, starting with three of them and can find more with pick ups from certain enemies that drop them. 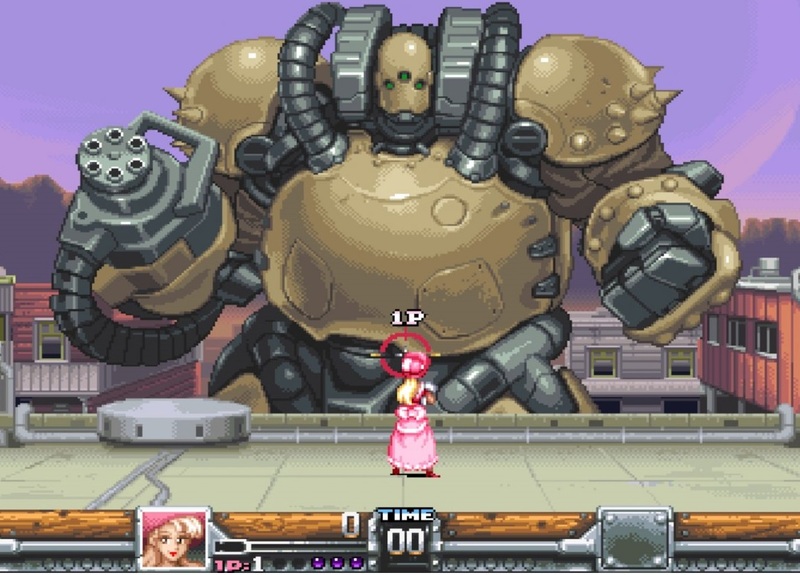 The bombs take out most the enemies from the screen or deals massive damage to bosses. Now that there are four characters, one of the great ways to get stuck into this game is with the four player local multiplayer, which can get very, very hectic indeed. Indeed, it's hard to see this game having much long-term value beyond that multiplayer mode. With beers and friends it's right up there with the best that the PlayStation 4 offers. It's just a real pity that there's no online play whatsoever, beyond some leaderboards. Because the game doesn't do a good job of explaining how to play, it can take a while to figure our everything. For example, it took me a few playthroughs to figure out out to use a lasso by double tapping the fire button to slow enemies down. It took me even longer to figure out you could throw the dynamite the enemies throw at you back at them with good timing. This game knows how to be difficult, and will really test your skills even after you know how to do everything that you can with it. Better guidance to get into the game wouild have been appreciated. 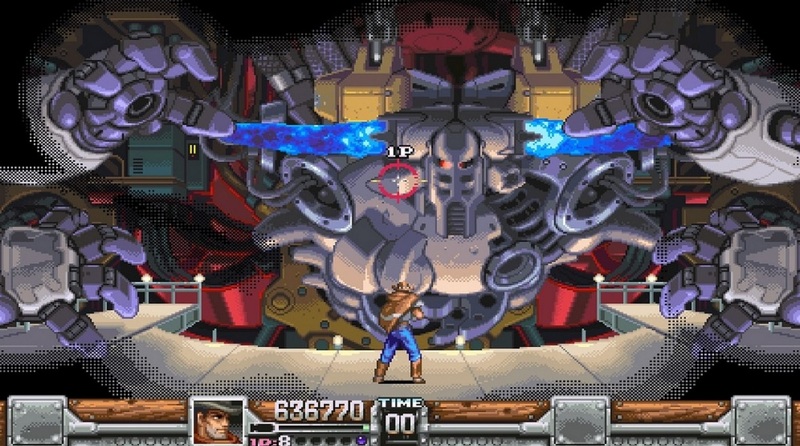 Wild Guns reminds you just how punishingly hard games were in the SNES era. I played the game on easy and I still can't actually beat the boss. The challenging gameplay is all part of the fun, and I enjoy it for what it is, but one thing that does bug me is that there is no way to save a game mid-play through. It would have been nice to be able to leave if I had to go do something and come back and pick up where I left off and not start over; there are some modern conveniences that really are mandatory, whether the game is a retro remake or now. The game's art is really well done. 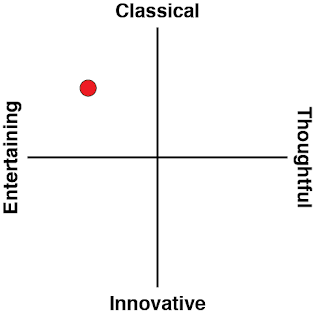 It still looks old but also smoothed out so that it looks modern enough. Almost everything in the background can be shot up too which is really cool. The small things like when the speech bubble pops up above your characters head to warn you of incoming fire helps a great deal with all the action going on. Wild Guns Reloaded is a nice throwback to the games we played as children. It's still as much fun, and as difficult, as it was when it released all those years ago and I had a blast playing it again. I hope other developers go back to their old catalogues to remaster them in a similar way, because it's a blast from the past, modernised just enough that it still feels relevant today.